Wildberry Müsli Fuchs 375 gr. We improve the solar-matured, high vitamin fruits which grow at our yard to tasty fruit spreads. Because health and well-being are the primal goals, we also pay attention to the naturalness of the product: a fruit portion of 70% and a careful heating guarantee the preservation of the valuable vitamins which are in every single fruit. Grappa Pinot Noir 70 cl. - Roner South Tyrol 32,85 EUR / 46,93 €/lt. Grappa Müller Chardonnay 50 cl. - L. Psenner South Tyrol 24,95 EUR / 49,90 €/lt. Grappa Turmhof Premium 40 % 70 cl. 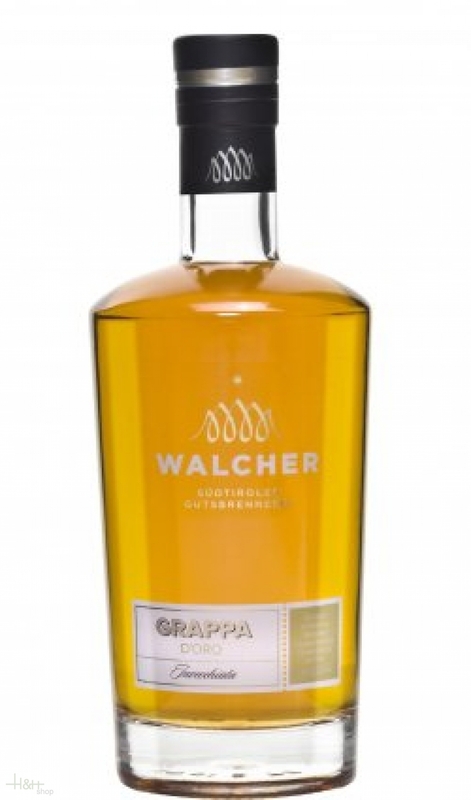 - Distillery Walcher South Tyrol 18,50 EUR / 26,43 €/lt. Grappa Gewürztraminer 42 % 50 cl. - Distillery Niklas 29,40 EUR / 58,80 €/lt. Grappa Müller Thurgau 50 cl. - L. Psenner South Tyrol 19,90 EUR / 39,80 €/lt. Grappa Moscato Rosa 42 % 0,5 lt. - Distillery Zu Plun 40,15 EUR / 80,30 €/lt. Grappa Klaser 7 Y 50 cl. - 42 % - Distillery Niklas 29,40 EUR / 58,80 €/lt.